To accommodate the busy schedules of teachers and administrators, and to provide an introduction to MPRES, the Next Generation Science Standards (NGSS) and the National Research Council’s (NRC) Framework for K-12 Science Education, we also provide one- or two-day introductory workshops. An introduction to implementing and integrating the NGSS in the classroom. 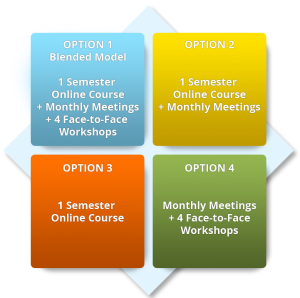 MPRES also offers other Professional Development Options, or contact an MPRES Trainer for more information.